Hello, and thanks for visiting the website! 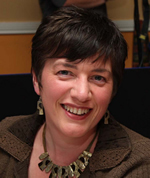 My name is Jennie Frizelle, and I'm living in Enniscorthy, Co. Wexford, in the South-East of Ireland. 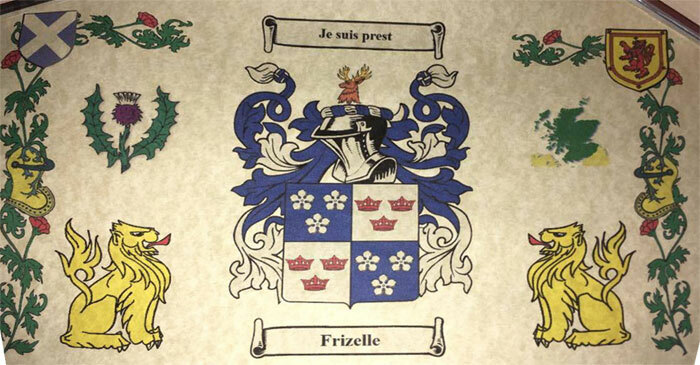 I've been gathering information about the Frizelle family tree for a number of years now, from various different sources. All the information I have has been input into Family Tree Maker, and from that I have generated the family tree in PDF format - it goes back to the year 1717, with branches including people in Ireland, England, America and New Zealand. For privacy reasons I'm not making the full tree it publicly available through this site, but you are welcome to download the PDF of the first seven generations here, or contact me if you would like a copy of the full tree and I will email it to you. There is still a lot of information missing from the tree, so I'm hoping that anyone with the Frizelle name, or Frizelle ancestors, will get in contact with me, and together we can piece more of the jigsaw together. Here is an enquiry I received from a gentleman called Richard - can anyone shed any light on this? "In your searches and established Frizelles'history, I wonder if you have come across the Frizelles who once owned Castle Kevin in the Wicklow hills, a large country estate. Can anyone help with this Frizelle query? "William Frizelle was baptised 10 April 1823 at Kilfinnane Parish, Co. Limerick, Ireland, the son of John Fizzell and his wife Mary Stark of Kilfinnane. "My family tree so far goes back to John Frizelle born in 1790-1800 Dungannon, Tyrone, Northern Ireland. His father I believe was Patrick Frizelle.